Her professors used to tell her she made "outsider art." She pushed back — all the way to a solo exhibit at the Art Gallery of Ontario. The moment I walked into the new Mickalene Thomas exhibition at the Art Gallery of Ontario, I became emotional. The words "Femmes Noire" greeted me as soon as the elevator doors opened in big bold print. Each work re-affirmed those words using rhinestones, silkscreen ink, Polaroids and video: this exhibit is about Black women, by a Black woman, who creates first and foremost for Black women. I shouldn't have been surprised. It was the same response I had to her work two years ago when I was confronted with Thomas's images on a massive billboard located at Front Street and Spadina Avenue as part of the 2016 Contact Photography Festival in Toronto. I remember standing there, mouth open and eyes filling with tears. 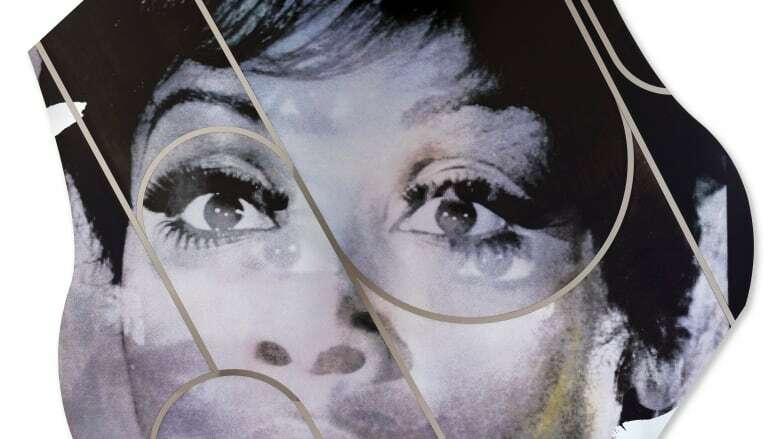 The exhibit Mickalene Thomas: Femmes Noire is a focus on Thomas's work in collage. The technique is not only an aesthetic practice but also seems to be a commentary on the women at the centre of her work. Manipulating, juxtaposing and layering images, Thomas invites the viewer to see these women as nuanced beings, unable to be fixed and defined by a single perspective. I had the opportunity to talk with Thomas last week following a media tour of the exhibit. She describes her art as "very personal," and her models range from her friends, family and lovers to larger-than-life figures who have inspired and influenced her such as Eartha Kitt, Whitney Houston and Diahann Carroll. "Muses, mothers and celebrities," was how she summarized her selection process at an opening night talk with art writer Antwaun Sargent. Whether a household name or an unknown face, each woman is made immortal in luxurious creations — forever marking them as worthy of consideration, admiration and celebration. 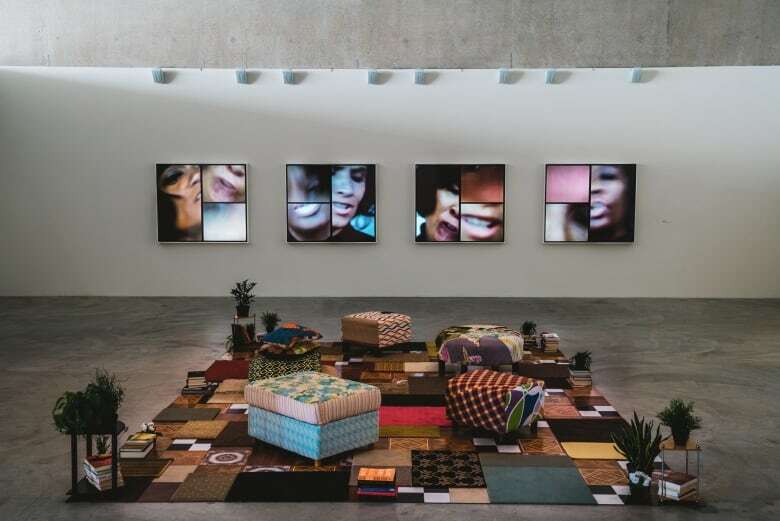 In many ways that is Mickalene Thomas's superpower: making visible the women who have not only been historically forgotten and marginalized in the history of Western art but also remain excluded from contemporary art institutions. I saw that superpower work its magic on opening night. The gallery was filled with people clamouring to see a series of work centring Black women, and at one point in the evening I suddenly realized that the space had become a reflection of the art: Black women surrounded me. It was a rare and beautiful sight at one of the largest art museums in North America. Thomas's art has not always been so widely celebrated. On opening night, she talked about the professors she encountered while conducting her MFA at Yale University. Some were her "cheerleaders," but others told her that she wasn't really painting. "It was the 'not' that made me want to use it more," she told the crowd. "They kept calling it 'outsider' art. The more I would hear that, the more it would push me to pursue it. I would say, 'What is outsider art?' Then I would do this research and discover — oh. They're talking about Black art." This experience, combined with Thomas's self-proclaimed status as an "art history geek," helped her to construct the practice that has led to her success: combining what her instructors called "outsider low art" with what was universally deemed high art. "I just figured I'd start working through the white boys." With "Le déjeuner sur l'herbe: Les Trois Femmes Noires," Thomas replaces the white figures in Edouard Manet's classic painting with three Black women who are reminiscent of characters from a 1970s Blaxploitation film. Afros sparkle with rhinestones, bodies are adorned in bold prints and a fractured and boldly coloured collage replaces Manet's grassy luncheon. In her Courbet series, Thomas uses Polaroid images to centre the Black queer female body. Each woman stares straight into the camera, daring you to meet her gaze. While Black women serve as her muse, the pieces are named after some of the most famous works and painters in art history. She told the audience on opening night that this decision was purposefully strategic: "I love the fact that now when you Google Matisse or Manet or Courbet, I'm right up there with them." Alongside Thomas's other work are staged living room tableaux that invite audiences to not only view her art but to hang out and chill while experiencing it. "It's really important for me to have these different levels within my work of accessibility," she told me. Decorated with patchwork rugs, upholstered chairs, cushions, floor pillows and books, these tableaux exist as their own collage. When I ask Thomas what goes into her curation and design, she talks about cultivating a space of nostalgia and familiarity. "I think of how women of colour access spaces — it's always like 'that reminds me of...' It's that kind of rhythm in my work that I want the women that I'm making this work for to complete." Thomas also expresses a desire to explore the range and diversity of Blackness, which includes extending the conversation beyond the African American experience to include the larger African Diaspora. Small piles of books include titles by African Canadian writers Nalo Hopkinson, Lawrence Hill, Dionne Brand, Esi Edugyan and Austin Clarke alongside Toni Morrison, Zadie Smith, James Baldwin and Chimamanda Adiche. Thomas describes these literary collections to me as a representation of the narratives, theories and worldviews that have shaped and informed her artistic lens. "I believe that as an artist we create our own foundation and support system for our work and I'm providing that as insight to my process. All the voices, the stories and things that I've learned from other people." 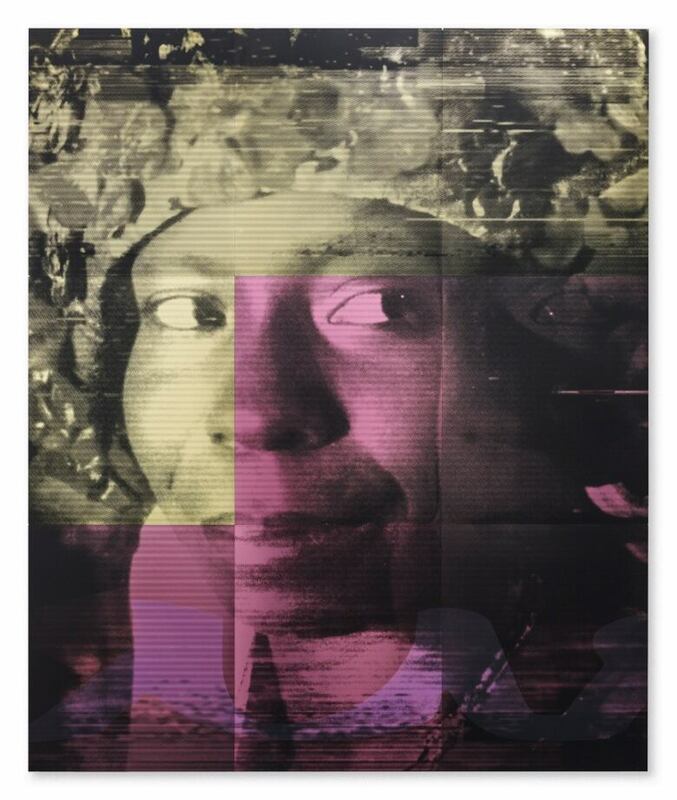 Femmes Noire is Thomas's first Canadian solo exhibition, and she is only the second Black woman to have a solo exhibit at the Art Gallery of Ontario (the first was Kenyan-American artist Wangechi Mutu in 2010). Thomas tells me that she and AGO curator Julie Crooks had to fight to get the whole floor. On opening night, Thomas simultaneously celebrated her platform and used it as an opportunity to call out a hypocrisy that Black Canadian artists have long articulated: Thomas is not from Canada, and it's high time that a Black Canadian woman be given her own solo exhibit at the Art Gallery of Ontario. Her declaration was met with a roar of thunderous applause. So will a Black Canadian female artist get that exhibit in the near future? Time will tell if the AGO was equally struck by Mickalene Thomas's superpower: making Black women visible. 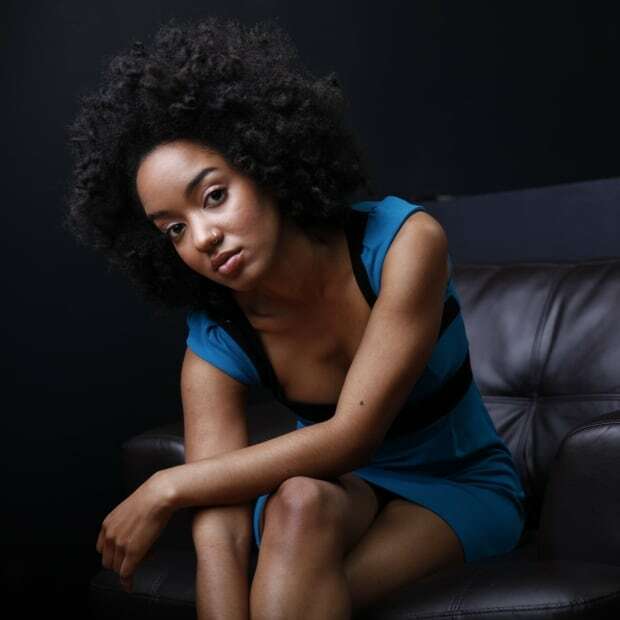 Amanda Parris writes a weekly column for CBC Arts and is the host of Exhibitionists on CBC Television and Marvin's Room on CBC Radio. In her spare time, she writes plays, watches too many movies and defends Beyonce against all haters. In her past lives she wrote arts based curriculum, attended numerous acting auditions, and dreamed of being interviewed by Oprah. Should artists be the only ones to make films about other artists?